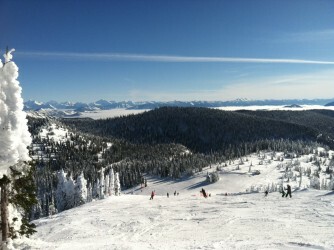 I’m just going to say it: winter in Montana is the stuff that powder-lovin’ dreams are made of. Not only are we situated in the heart of the Rocky Mountains, but four Montana ski resorts recently ranked among the “Top 10 Deepest Snowpacks in the US” list. Combine that with sunshine, cute towns and some of the most epic terrain in the continental U.S., and it’s no wonder winter is one of Montana’s most fun-filled seasons. To help you take advantage of winter fun in Western Montana’s Glacier Country, I rounded up the top five winter activities to do this year. 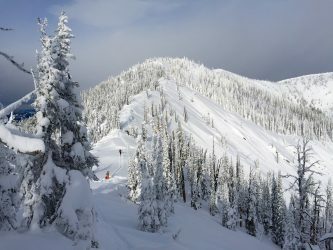 Montana’s Glacier Country is home to six downhill ski areas. And while I don’t think I can pick a favorite (that would be like making my mama pick her favorite kid), I am particularly fond of snowboarding at Whitefish Mountain Resort and Lookout Pass. 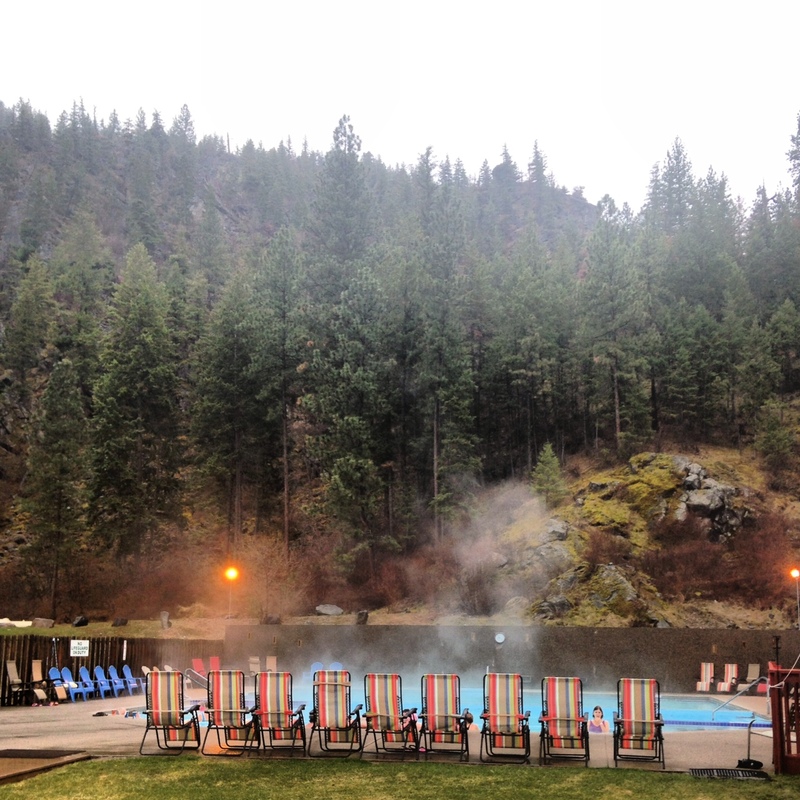 The views from Whitefish Mountain Resort on Big Mountain in Whitefish are seriously stunning and I love the laid-back atmosphere at Lookout. The view from the summit of Big Mountain, looking into Glacier National Park. 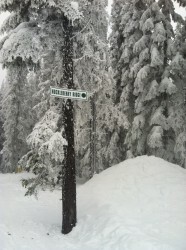 My favorite run at Lookout Pass, solely because its name. One of my most memorable winter trips ever was a backcountry adventure into a yurt in the Swan Mountains. We rode snowmobiles from the Rich Ranch to the yurt and spent two days taking in the untouched terrain and incredible powder, and of course trying to keep the wood stove burning. Because I’m a little bit of a baby and not great on skis (I’ve only snowboarded in recent years), I opted to snowshoe up and down and it was incredible. The terrain outside of Yurtski in the Swan Mountains. Photo courtesy of my pal, Brody Leven. 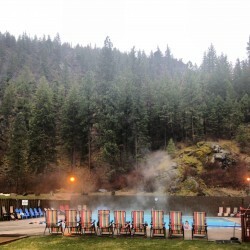 Serenity found at Quinn’s Hot Springs in Paradise. Literally, snowmobiling in my all-time favorite winter activity. 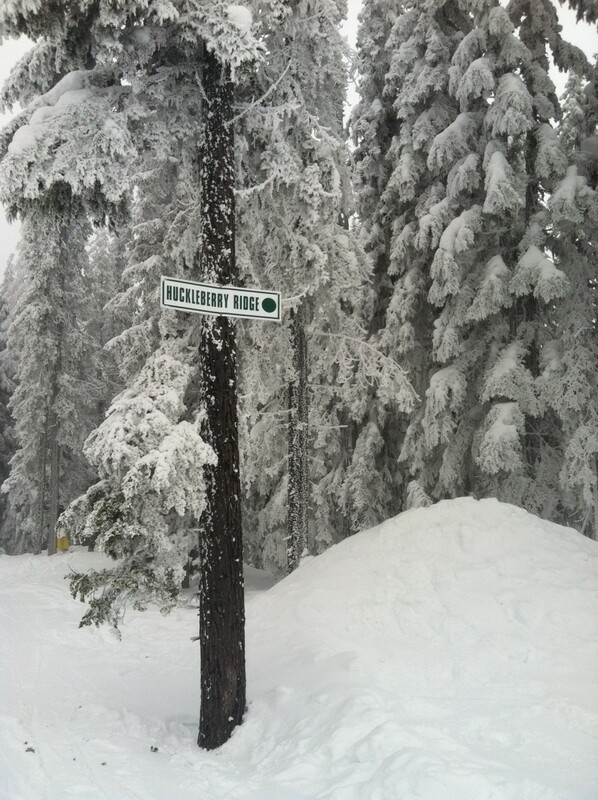 Sure, it’s not as heart-healthy as cross-country skiing or snowboarding, but I just love it. How much do I love it? 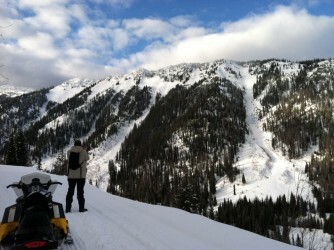 So much that I already have two snowmobiling trips booked for this winter. If you haven’t snowmobiled before, I’d recommend taking a guided trip with either Swan Mountain Snowmobiling in the Flathead Valley or Rich Ranch in Seeley Lake. Going with a guide helps alleviate some safety concerns and having one there (especially if the guide is cute), always makes me feel better. One of the views on the Canyon Creek Trail near Whitefish/Columbia Falls. Let’s be honest: winter driving in Montana can be a little intimidating, especially if you’re not used to driving on snowy roads. However, Montana has some of the best road crews in the nation and they do a great job keeping our roads clear and drivable. The one thing to keep in mind: drive according to the road conditions. Sure, it make take you a tad longer to get somewhere, but not only will you arrive safely, you’re going to see some of the most gorgeous scenery along the way. Cruising I-90 west of Missoula. A perfect winter scene along a Montana backroad. 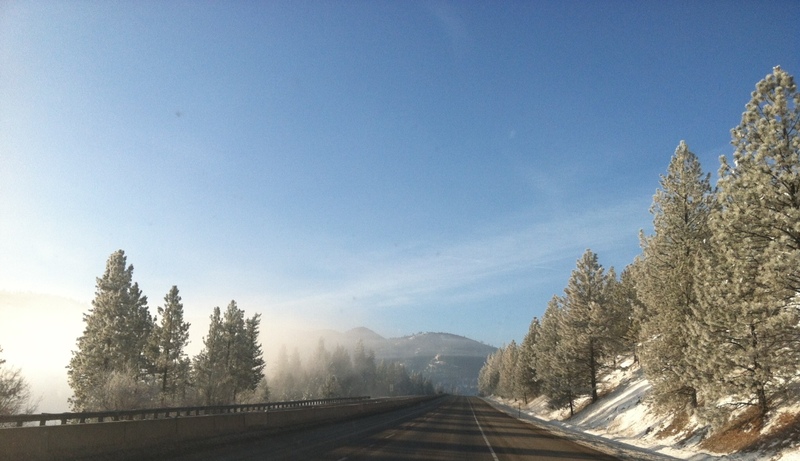 My favorite winter road trips destinations include the Bitterroot Valley, Missoula, Paradise and Whitefish. Your turn: What are your top picks for winter fun in Montana? 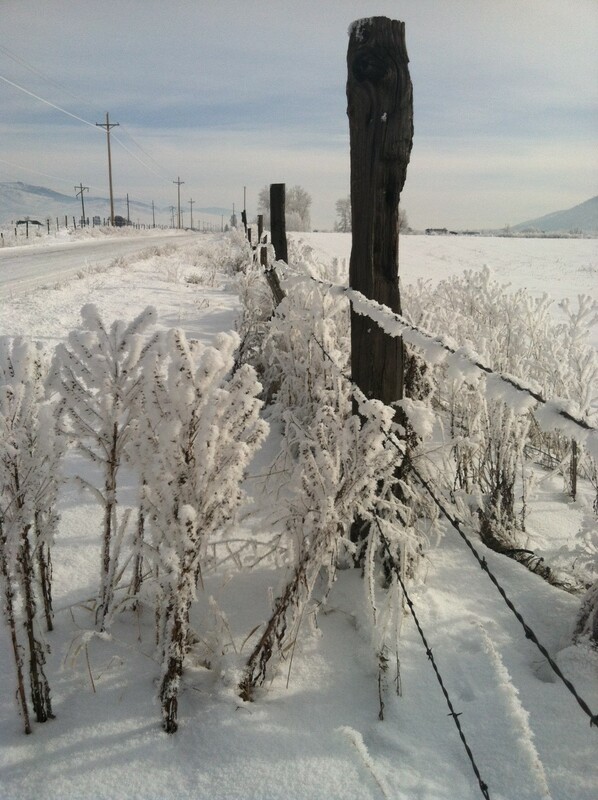 This entry was posted in Montana, Winter Fun and tagged Hot Springs, Play, Skiing, Snowmobiling, Winter Fun on January 14, 2015 by tiatroy.